"…no overabundance of notes, no conceptual clutter. 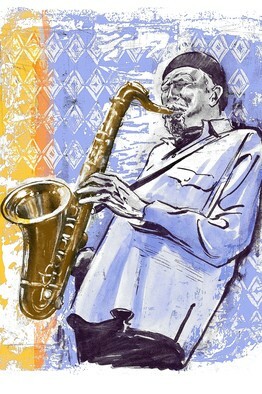 Mr. Lloyd's playing on tenor (and, on one track, alto) saxophone is breathy and ribbon-like when squiggling to or from a melodic line; firmly formed yet transparent, like the surface of a pool, on long tones. The music is frequently meditative and for the most part concisely phrased. Yet there's a demanding fullness and intensity to his emotional outpouring through the album's dozen tracks, the sort that frequently anticipates uplift." Click here for the full review of Mirror at the Wall Street Journal.